Over the past five years, the infrastructure on Ambergris Caye Island has changed a good deal. The infrastructure in this country in general has changed a great deal too. One of the main changes has been in the technology and communications realm. This is an area that has sprung up out of nothing over a five year period. Before these times, the phone service in Belize was basically periodic at best. There were areas where there was no service at all and areas where the service was intermittent. Subsequently, there was no Internet service to speak of. The only way that a person moving to the country would be able to have constant and consistent service was to build a satellite dish and use this for Internet and possibly phone service. Cellular phone service was non-existent and could only be gotten through expensive satellite phones. As time progressed, the clean water supply improved greatly with the implementation of desalination plants. Electrical power was solidified in most areas and cellular service became a nationwide service. This was still not enough for most people that resided in other countries and were considering Ambergris Caye as a new home. The beach areas were developing resort communities that were rivaling most of the best in the world and the country was on the verge of a population explosion. At that point much of the infrastructure got a major boost from the government and Ambergris Caye became the paradise that it is today. The country bolstered the electrical supply and the cellular phone network. Thus high speed Internet made its way into Ambergris Caye. This was all that was needed to bring in the visitors and new population from places like the United States. A business person could now use the infrastructure of Ambergris Caye to fully support their business and move into the country. Several tax and import incentives were moved into place that brought even more people to the country. Belize saw more and more people coming from around the globe and many of them were staying. The biggest issues that most had from the past were the water and Internet supply. With both of these fully ensconced it was now time for the big moves to take place. The condo communities in and on Ambergris Caye doubled and tripled in residency. Many communities that had been fully for vacationing people began to make room for full time residents. The local population gained revenue and jobs from the budding communities and the country gained tax dollars. Roadways were improved, thus allowing new citizens to expand their new world and look around. This caused several smaller cities and communities to gain exposure and the whole process has come under the snowball effect. This explosion of interest has led to even more worldwide exposure and the country itself is going to quickly become a new hot spot on the world map. 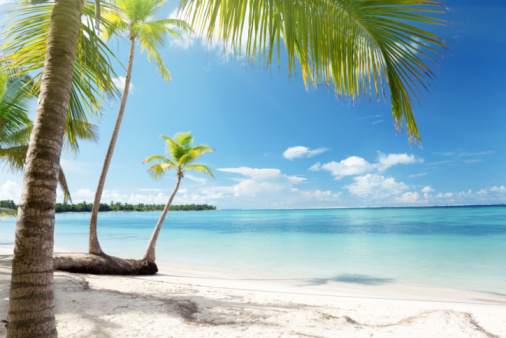 Investors have taken a deep interest in the Ambergris Caye properties and the communities and this has brought even more revenue to the entire system. There seems to be no end to where this can lead as there is even more land to be developed. The future is bright for a country that found itself in stagnation for many decades. While it may be late coming, the influx of technology has been welcomed by all and not fought in any way. Local businesses are happy to add their 2 cents to the Internet and investors have built entire networks around the new found paradise. It is easy to see why the infrastructure of Ambergris Caye is building day by day.